Applying productivity models to the service sector increases performance. Translation Memory Technology has a key role in improving performance in the translation industry. What does Translation Memory Technology (TMT) stand for? Translation Memory Technology allows computer-assisted human translation and use of extensive terminology databases. The technology adds any new translated document to the database. Parts that match sections already translated in previous translations just need checking, leaving the translator to only translate new parts. The system can store not only words, but whole phrases or paragraphs (H&P statements, signatures, terms of settlement) for frequent use by the business, let alone a whole industry. Translators become more productive because the TM Technology can reuse already translated parts. The terminology is thus consistent when translating a large document or website. The TM technology recognises and reuses previously translated parts. Translators are thus more productive and their work more interesting and effective. Translation memories work best on highly repetitive texts, such as product labels, SDS, SPC or prescribing information. They are also helpful for translating minor changes in a previously translated document or website. Technical translations in the same industry can be handled faster because time spent on a translation is shorter. At Agrooh Translations we reckon that the translation of 2 or more safety data sheets of the same product, with a different formulation (WG and SL for example), can save at least 50% of the time. It includes common definitions, phrasings and terminology also when several translators are working on the same project. While translating regulatory affairs documents, product labels, safety data sheets or market research, the need for terminology consistency is crucial in order to be well understood throughout by official authorities or end users. Using TM technology can significantly reduce translation costs. 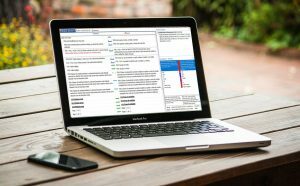 Integrated wordcount software analyses the document to translate and identifies the repeated parts. When drafting a quote, these repeated segments are discounted straight away. The TM technology always displays source and target text in 2 columns. The reviewer can check the translation quickly. In a traditional review environment, translators have to work with two documents side-by-side which is more difficult. In a repeated text like an MSDS, once a translated phrase is validated (shows green for the translator), 100% identical phrases are « propagated » (show light blue) and only need a quick check from the translator. Do we still need human translators ? Of course ! Technical & scientific documents are too difficult to be fully understood by machines and need to be accurately translated. A word’s context can change its meaning. Translators still have a key role in the translation process and are fully complementary with the Translation Memory technology. The human behind the TM Technology makes sure the translated material, entered in the Translation Memory , is correct.